Size 10 by 12 sq. ft. / 10 by 16 sq. ft. / 12 by 12 sq. ft. / 12 by 16 sq. ft. 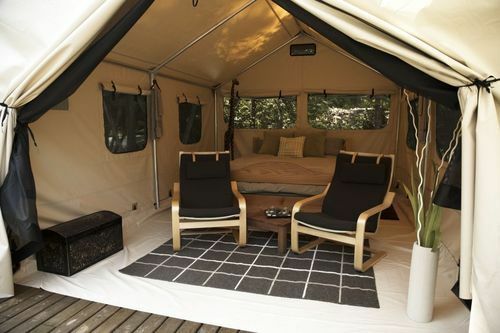 Fully Frame Beach Camping Tent are mostly used by Adventure Outfitters Base Camps, Private Beaches, Resorts & Eco-Tourism Promoters for its easy to pitch and Rugged structure with effective waterproofness against odd weather conditions. The Tents are massively sold World Wide. Height Ft CH - 8 ft. ; SW - 5 ft.